← Implantation Bleeding or Cycle Day One? This past Memorial Day, we got very American by grilling burgers, hot dogs, steak and veggie kebabs. 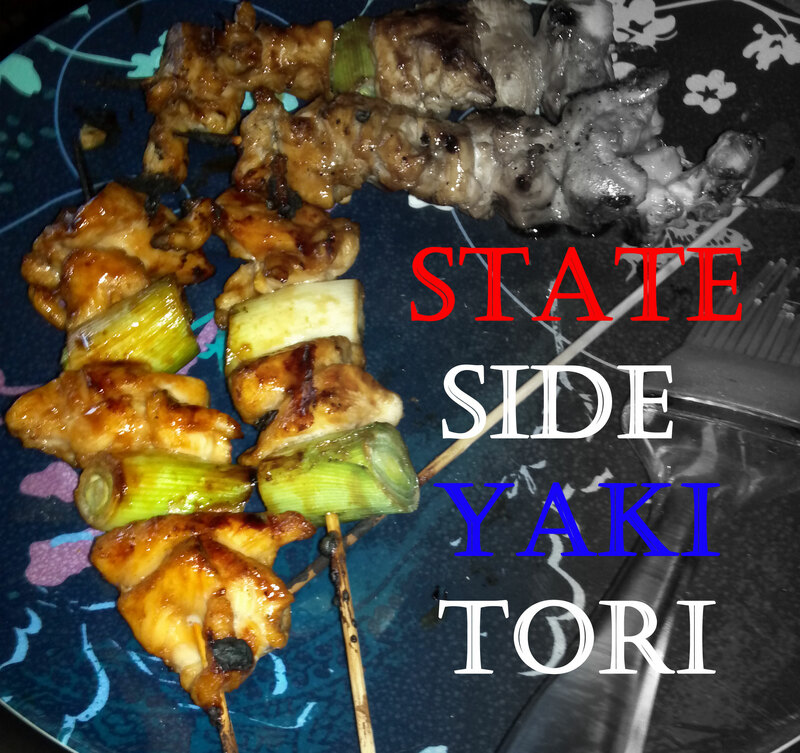 But my husband had a craving for something decidedly Japanese– yakitori 焼き鳥. I’ve mentioned a couple of times about my previous life as an English teacher in Japan, but one thing I have yet to talk about is our love of Torikizoku. Or 280 as we expats called it. Everything on the menu, the drinks, the food, everything cost 280 yen. It was a lifesaver before payday and our favorite after-work decompression station. The hubs is a big fan of mise en place. Torikizoku was also the place we discovered yakitori. For 280 yen you got two skewers full of chicken and leeks. And you have the option of shio 塩 (salt) or sauce. As you might expect, the salt option means that your chicken is cooked with just a dash of salt while the sauce option involves continuously basting the chicken with a sweet sauce during cooking. And the sauce version was what my hubby was craving. So the hubs looked up a video tutorial on how to make yakitori. We both love the Cooking with Dog YouTube channel. It’s not what it sounds like. The host cooks while her puppy stands on a stool behind her. The show is narrated, in English, by Francis, her dog. And she has a very simple recipe for yakitori sauce. Unfortunately we didn’t have any sake on hand, so we used shochu. It’s a bit stronger than sake, but the sauce still turned out excellent. I couldn’t taste a difference with the replacement alcohol. Makes me wonder if we could manipulate the flavor more with other clear liquors. Is there really anything sexier than a man who cooks? I don’t think so. For full instructions, check out the video below.